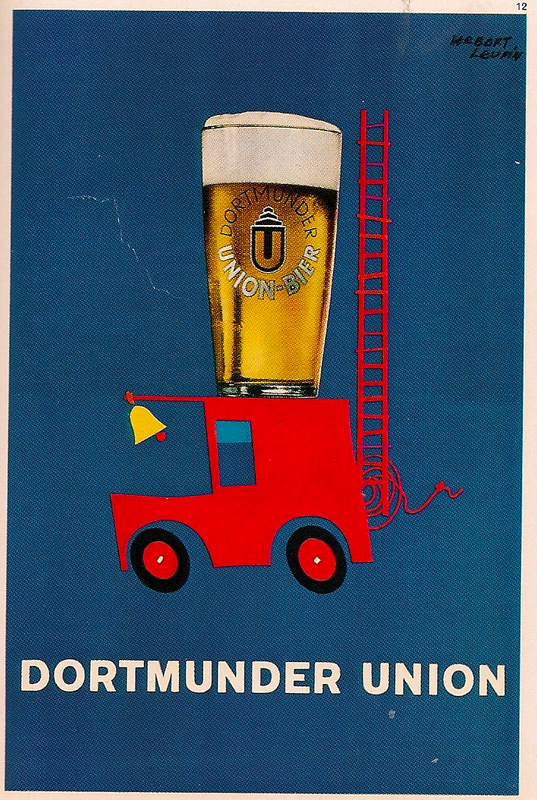 Saturday’s ad is for Dortmunder Union, from 1960. From the late 1800s until the 1960s, poster art really came into its own, and in Europe a lot of really cool posters, many of them for breweries, were produced. Swiss artist Herbert Leupin did a series of posters promoting beer by both the Swiss Breweries’ Association and the German Brewers Association. that began in the 1950s. He also later did work for specific breweries, such as Dortmunder Union.